I’m not going to play Path to Glory alone but apparently tzeentch wants some internal competition first..here’s Oyvind’s WiP tzeentch warband! 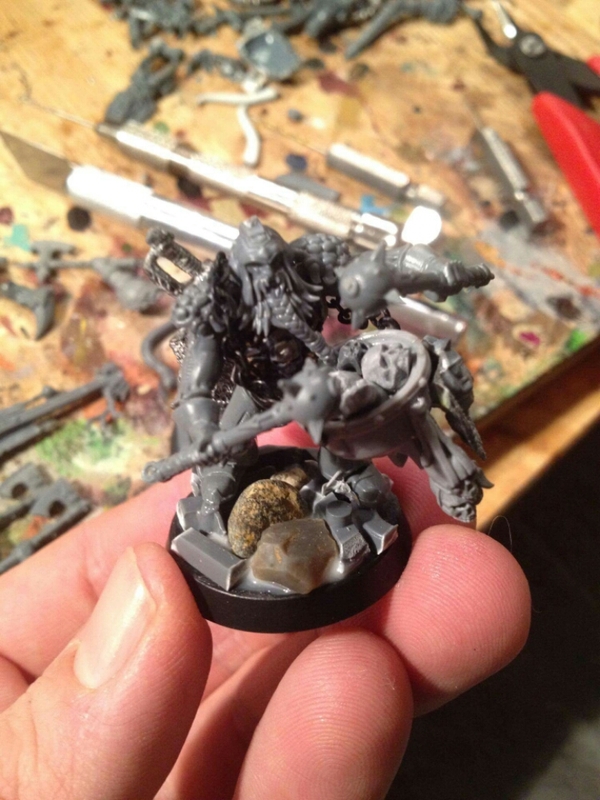 Oyvind is known for his very creative conversions and with following it up with a very solid paintjob. 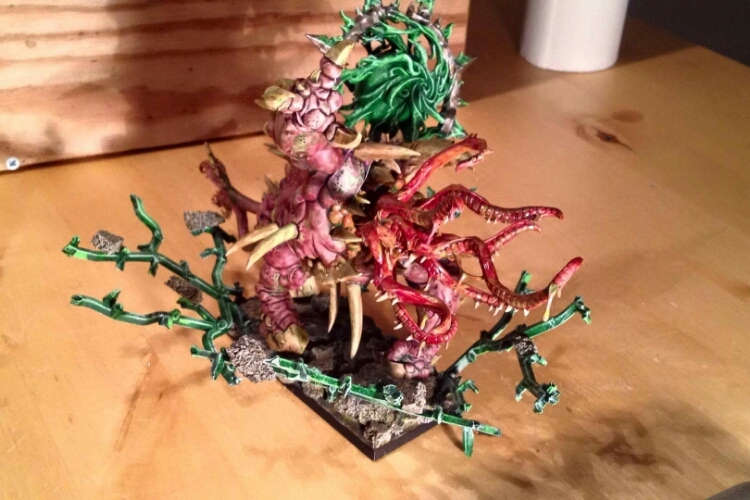 This is why he’s already won quite a few prices, notably winning the best painted AoS army in this years national tournament. 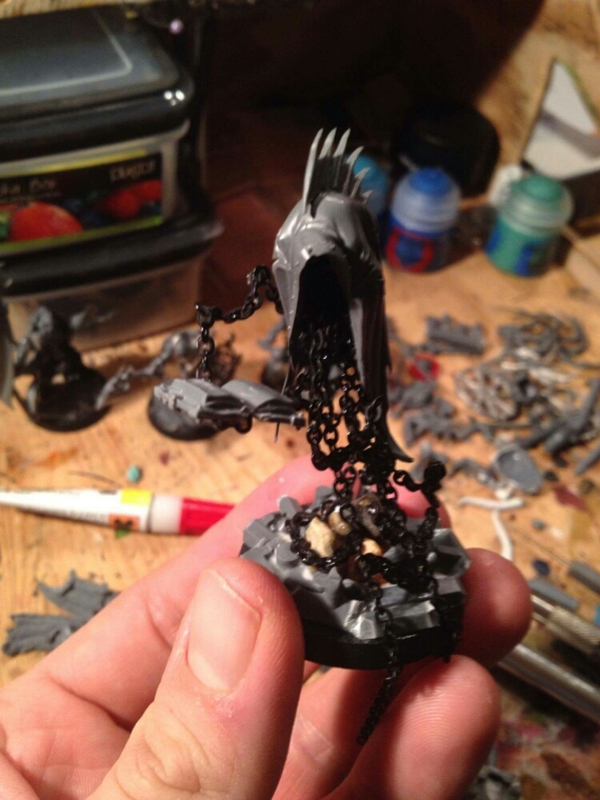 The first picture shown is actually his tzeentch lord on disc. Here’s the disc. How that big fella will balance up there I don’t know but I’m sure it’ll look great. 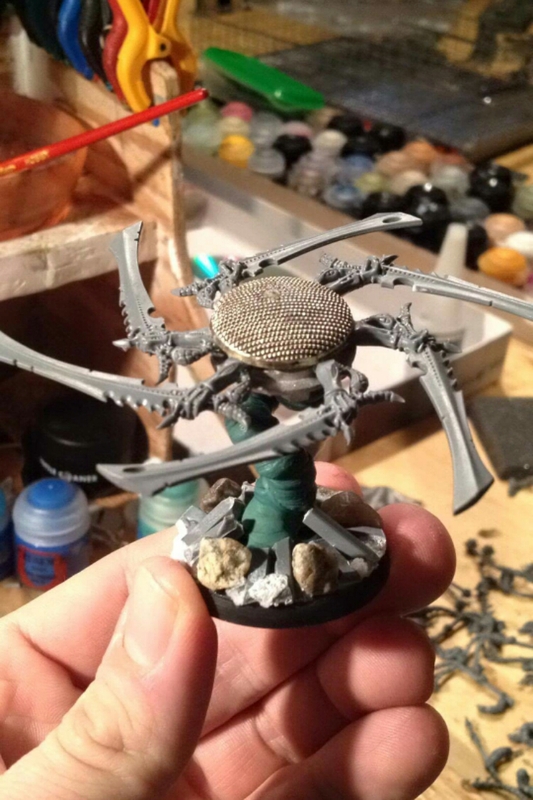 Next is another tzeentch lord. A very creepy character and the chains are a very nice detail! Then it’s a few Chosen. A slew of great miniatures. 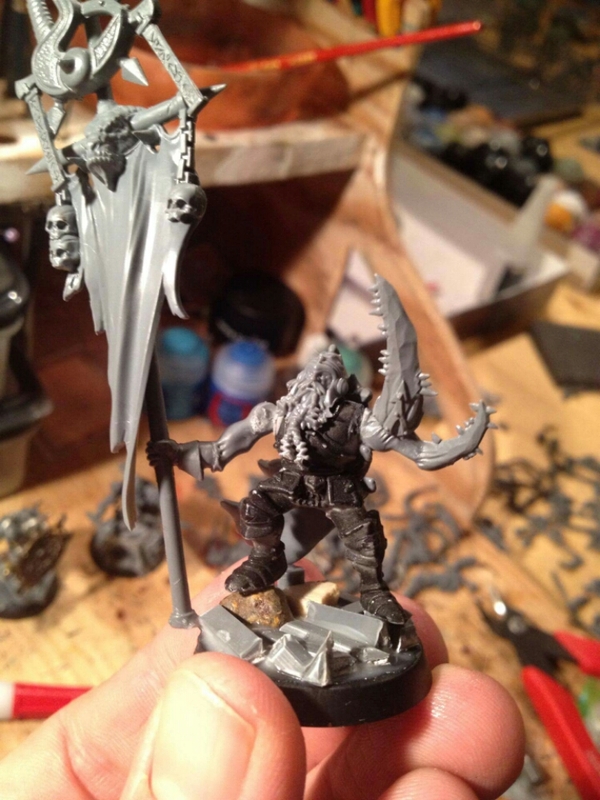 Note how he’s used the fyreslayer heads for great effect. 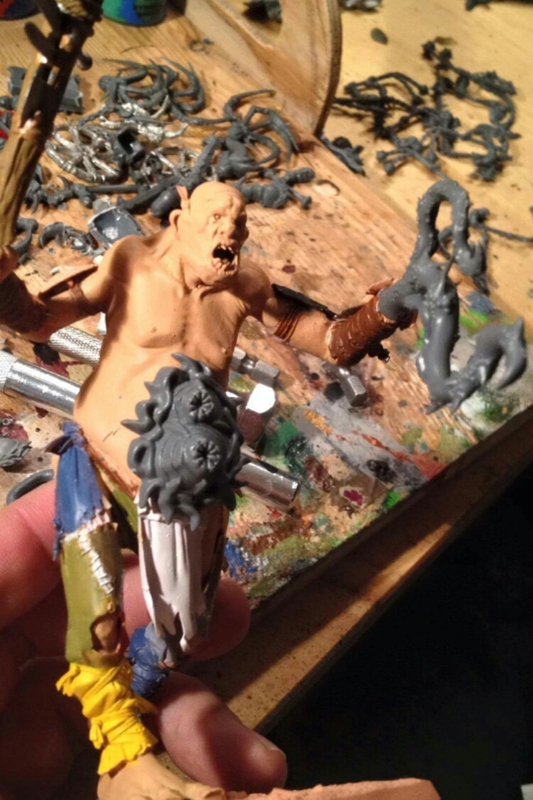 Then it’s an early wip of his giant. This one still needs loads of work imo but I’m certain Oyvind already has a great plan for that. Then finally his mutalith, which is almost surprisingly stock. It was also a part of Oyvinds national tournament army actually. 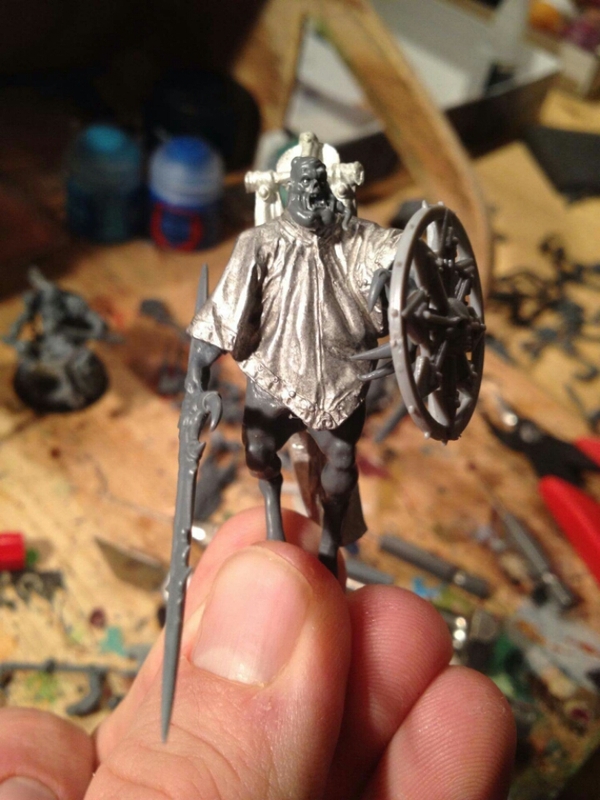 Hopefully I can show more from this warband and the others as they develop further. He seems very talented, is there a blog of his work? 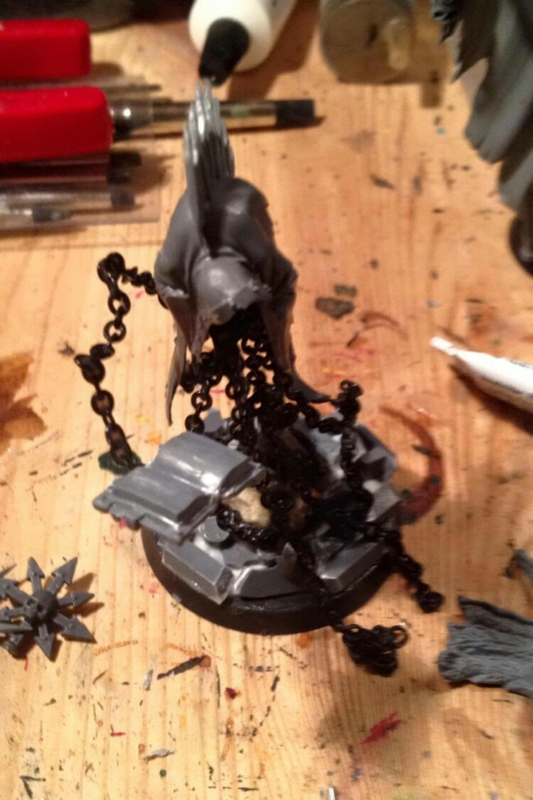 That chained sorcerer is amazing! He sure is! No, hence why I’m showing it off. There’s more to come from other very talented people in my group as well. I’ll be watching out for that, I’m always interested in seeing other peoples styles. Looks like you have a very creative group there. 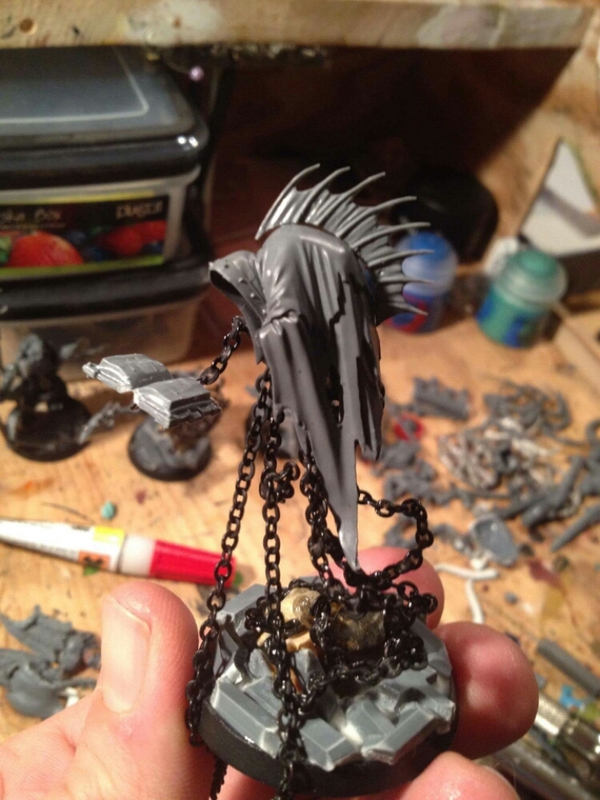 That’s all rather impressive – the wraith with the chains is just insanely cool (and puts me in mind of some amazing possibilities for mechanicum conversions). 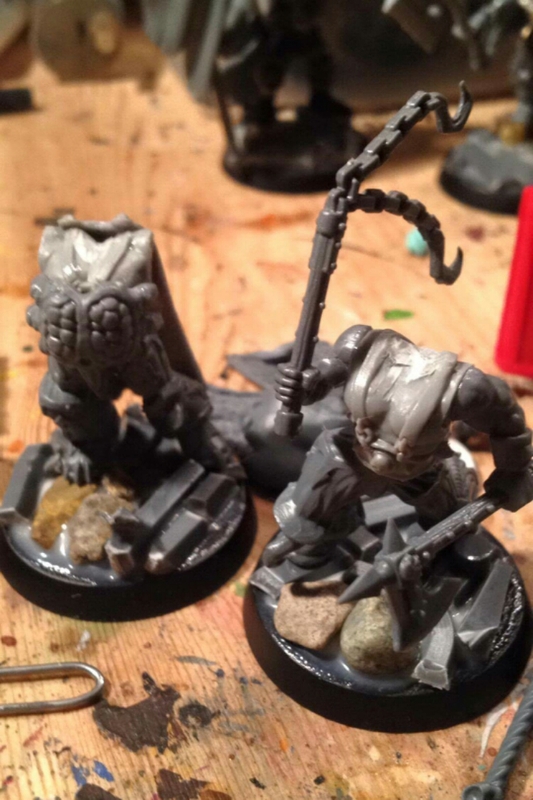 Really great conversions. Love all the chains. Brilliant. Completely agree with all of the above, especially Wudugast, top notch work from your group. I’m glad that you posted it for him, you’ll have to pass on our words to the chap.